Dr. Dianne F. Harrison is the fifth president of California State University, Northridge and began her appointment in June 2012. Before her appointment, she served as president of California State University, Monterey Bay, a position she had held since 2006. Prior to CSU Monterey Bay, she worked at Florida State University, where she served for nearly 30 years in various capacities starting as a faculty member, then as dean of social work, associate vice president for academic affairs, dean of graduate studies and vice president for academic quality and external programs. 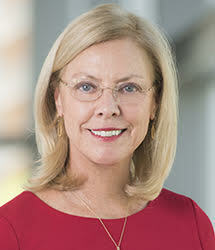 Known for her commitment to students, academic excellence and comprehensive development, President Harrison has a reputation for building strong partnerships with public and private organizations, enabling students, faculty and staff to cross institutional boundaries and engage in innovative instruction. Since her appointment, Dr. Harrison has identified seven key priorities for Cal State Northridge: 1) an unrelenting focus on student success; 2) focus on employees for success; 3) the visibility and reputation of the university; 4) planning for a future less dependent on state funding; 5) increasing research activity and sponsored programs; 6) sustainability; and 7) using athletics as a tool for engagement. She holds a Ph.D. in social work from Washington University in St. Louis and a master’s of social work and a bachelor’s in American Studies, both from the University of Alabama. Her academic and research areas of expertise include HIV prevention among women and minority populations and higher education issues related to university leadership. A prolific researcher and writer, Dr. Harrison has published dozens of articles and two books. Recognized for her leadership and service in higher education and other fields, Dr. Harrison has served on boards and committees of over 65 national, state, and local organizations. She currently serves on the board of the Association of American Colleges and Universities, the executive board for the California Campus Compact, the Steering Committee of the American College and University President’s Climate Commitment, and the NCAA Division I Committee on Institutional Performance. She also serves on the educational leadership boards of the CSU Council on Ocean Affairs, Science and Technology, the CSU Technology Steering Committee, the CSUPERB Presidents’ Commission, and the CSU Presidents’ Council on Underserved Communities. She was chair of the Professional Development Committee and convener for the Women Presidents/Chancellors Group of the American Association of State Colleges and Universities. She was a presidential participant in the Fulbright-Hayes Seminars Abroad Program to Jordan and Oman. In 2011, Dr. Harrison was appointed by Governor Jerry Brown to serve on the Western Interstate Commission for Higher Education, where she now serves as chair of the Commission. She was elected to serve as a member of the Western Association of Schools and Colleges Commission on Accreditation in 2012. As an active civic leader, she serves on the boards of directors for the Los Angeles Area Chamber of Commerce and the Valley Industry and Commerce Association (VICA), and is a member of the Los Angeles Cleantech Incubator Leadership Council. She also serves on the Board of Governors of the Valley Economic Alliance. Dr. Harrison is the recipient of “A Tree of Life Award” from the Parent Institute for Quality Education for her contributions to the education of all children and was inducted into the Monterey Business Hall of Fame by the Junior Achievement of Silicon Valley and Monterey Bay. In January 2012, she was invited by the U.S. Department of Education to a national convening of “For Democracy’s Future: Education Reclaims Our Civic Mission” at the White House. Among the university’s achievements since Dr. Harrison’s arrival, CSUN was inducted into the San Fernando Valley Business Hall of Fame by the Valley Industry and Commerce Association (VICA) in June 2013. Dr. Harrison and her husband, John Wujack, live in Northridge and have two adult children. She grew up in Mobile, Alabama and Short Hills, New Jersey.